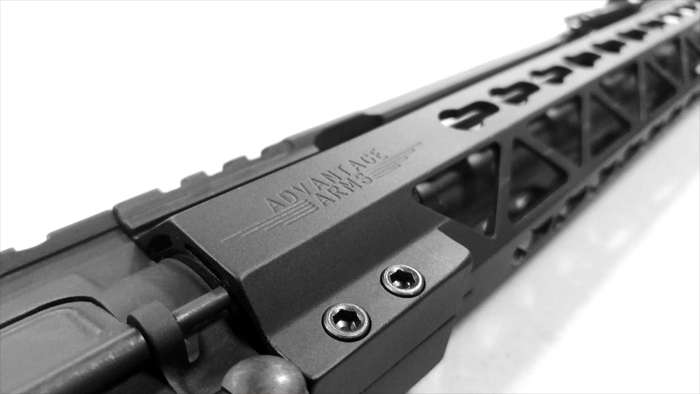 Advantage Arms’ New Forward Charging Handle. 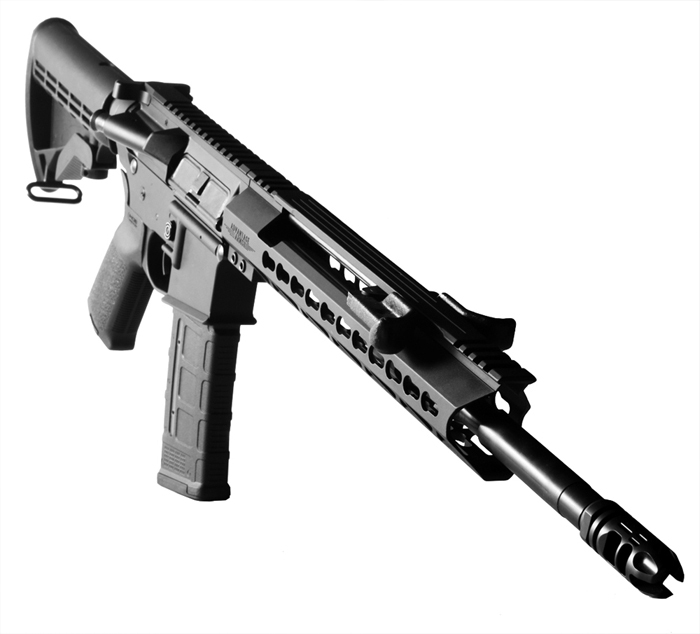 Optimized for speed shooting, Advantage Arms’ Forward Charging Handle allows the shooter to clear spent or misfired ammunition without dismounting from the firearm. Imagine clearing type 1-3 malfunctions without taking your rifle off your shoulder, losing your firing grip, or breaking your stance to reach back with your support hand, and without losing sight of the target. Just a simple rotation of your wrist to point the ejection port downward, then a quick rack back to clear the round. Flip your wrist to observe your chamber, then you’re back on target, ready to engage. Never again will you have to reach around your optic to charge your weapon. 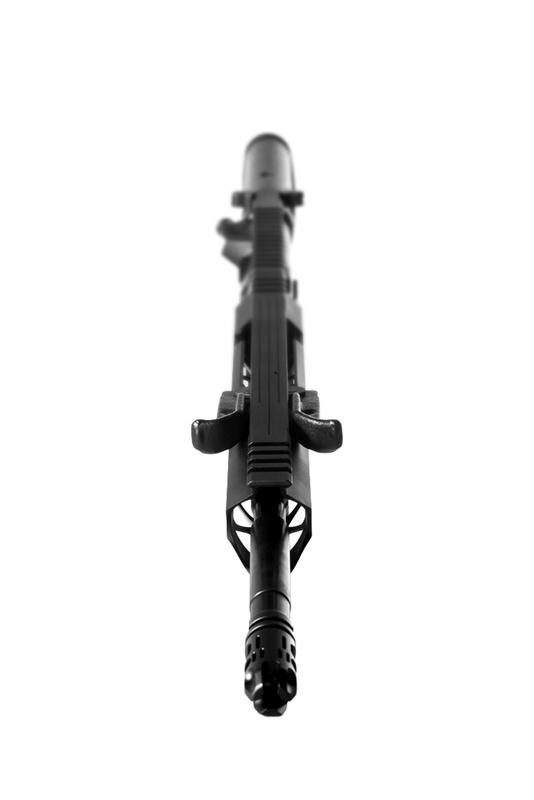 Without having to fumble for the Bolt Catch, your Forward Charging Handle is in clear peripheral vision. A quick slam rearward, you’re back into the fight. Spring tension holds the charging handle out of the way and in the battery position. 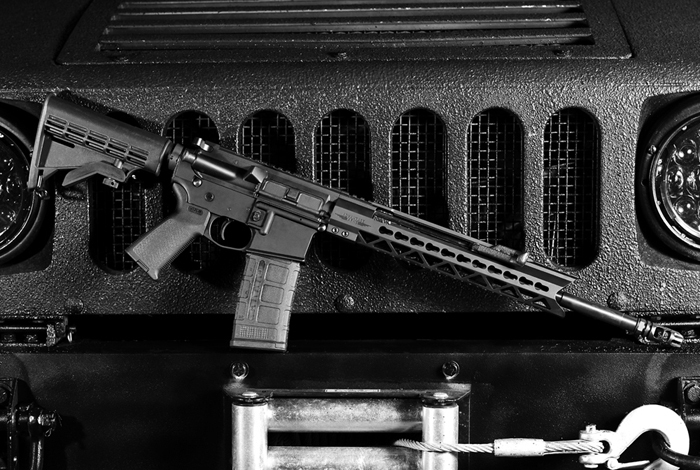 No more pushing your charging handle forward to protect it from damage. And for you tactical guys, this charging handle can be operated via a door frame, table, or even your belt. The one tactical edge the MP5 had on the AR-15 is no longer theirs alone.